A BULAWAYO-based soldier appeared in court yesterday for allegedly threatening ZIFA vice-president Omega Sibanda with unspecified action if he does not lift the suspensions of some of the association’s employees and football personalities. “On the second count, but on the same date and at Brady Barracks, Bulawayo, Mbwando, knowing that he is a Sergeant in the Zimbabwe National Army, introduced himself as a Major to Sibanda, knowing or realising that there was a risk or possibility that Sibanda might act upon that impersonation,” said Dlodlo. “Findings of political, corruption and maladministration activities in respect of Mr Omega Sibanda”, saying he had opened a police case against its authors. Part of that document Sibanda was referring to claims that he was eyeing the Vungu parliamentary seat in the 2018 elections under a “Zanu-PF (G40) ticket”. 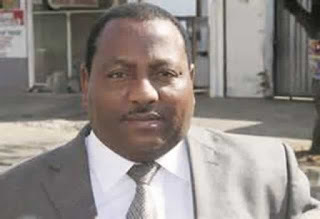 Allegations of misuse of a government grant of $1,2 million given to the national team for the Africa Cup of Nations were also levelled against Sibanda, with the author claiming the ZIFA vice-president took $48 000, while coaches and players got “peanuts”. The document also accused Sibanda of being involved in underhand dealings, such as remaining a players’ and coaches’ agent. “As VP of the association, he is not allowed to be an agent of any player or coach, as it will complicate and distort transparency as victimisation will come into play. Teams have suffered because they will be afraid that they will be suspended if they don’t abide by his intentions,” read part of the document. The author also accuses Sibanda of running the show at ZIFA, claiming “he has been banning and lifting the bans at his own discretion”. “Generally Mr Omega is not a good administrator, he has dictator-like leadership qualities and is very corrupt. He should leave football and concentrate on politics,” said the author.